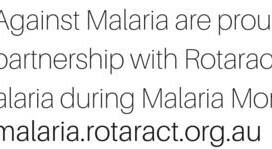 Rotarians Against Malaria is a volunteer-run organization working to eliminate malaria. The primary focus of RAM has been the distribution of insecticide-treated nets to vulnerable populations in Papua New Guinea, the Solomon Islands and more recently, Timor Leste. RAM has raised more than $1.6 million to eliminate malaria since 2003. RAM works in conjunction with the Ministry of Health authorities in each country and complements the work of other malaria organisations, most notably the Global Fund to Fight AIDS, Tuberculosis and Malaria. RAM was started in the early 1990s from a proposal by Dr Brian Handley of the Rotary Club of Chatswood (NSW) who was concerned about the surge in malaria incidence after the discontinuation of DDT-based malaria control programs. RAM was launched in 1995 in Tulagi, Solomon Islands by the Rotary Club of Honiara and Rotary District 9600. In 1997 Ron Seddon and The Rotary Club of Port Moresby initiated the highly successful Adopt a Village program to encourage Australian Rotary Clubs to fund nets in PNG on a village-by-village basis. 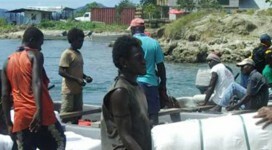 The Adopt A Village program was then successfully implemented in the Solomon Islands. In 1998 Rotary Australia World Community Service adopted RAM as an approved multi-district project. In 2005, RAM expanded its support to the National Malaria Control Program in Timor Leste. There are now RAM committees in each of the 21 Rotary districts in Australia, which raise funds to support programs to control and eliminate malaria.